If you choose to add in matching pillow cases, the sizes are 50cm x 75cm, designed to fix a little larger as we wanted the relaxed and elegant linen look. Available in King, Queen, Double, King Single, and Single Size. 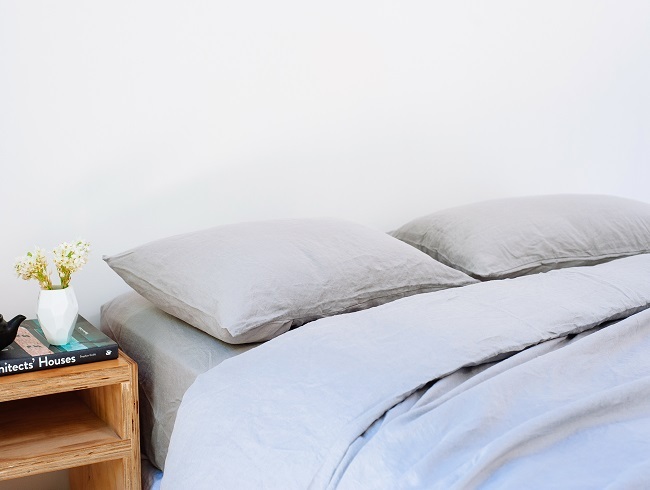 For those of you who have a deeper mattress, a 50cm deep fitted sheet is perfect for you (tip: measure your mattress to work out if you would prefer the 40cm deep fitted sheet). For the full size chart and specifications, please click here. I was nothing short of excited when my lovely wrapped sheets arrived at my door. The excitement grew as I washed and put them straight onto the bed! The colour match of the sheets to the photos online are ideal and I couldn’t be more satisfied. 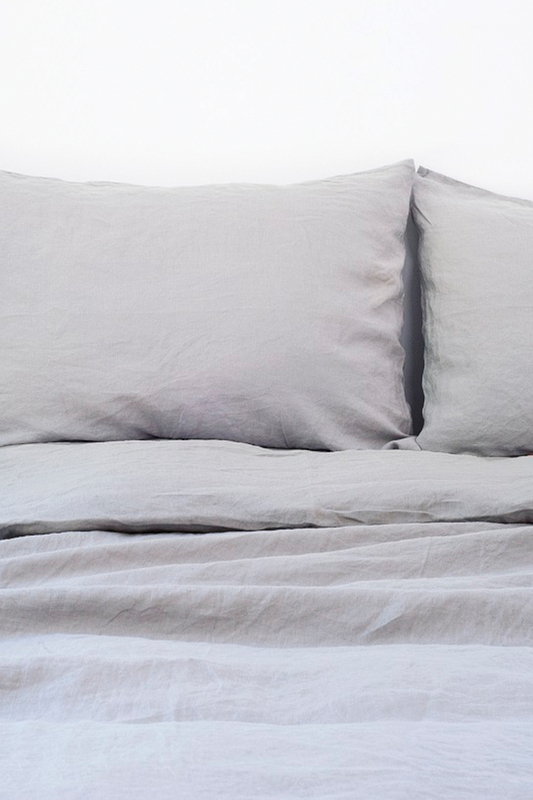 I purchased the soft grey sheet set and I am very impressed with the quality of the sheets & have told lots of friends and family about them. I will definitely be back to make another purchase in the near future. Wow exceed my expectations...beautiful colour, soft and very comfortable. Cool to sleep in and quality is great. Good delivery time in perfect condition....Thanks!! Very happy with my Soft grey linen sheets. They feel fabulous, soft and luxurious. Colour and quality is great. Service was excellent and delivery prompt. Well done I Love Linen, I really do love my linen! I cannot wax any more lyrical about I love linen. This is my second set of linen sheets. I bought the soft grey to pair with my soft grey stripe sheets and they mix and match beautifully and look great as a set on their own. Paired with some soft pink they bring a beautiful, soft and romantic look to my bedroom. The sheets are a wonderful weight, they are cool to the touch and feel amazing against the skin. 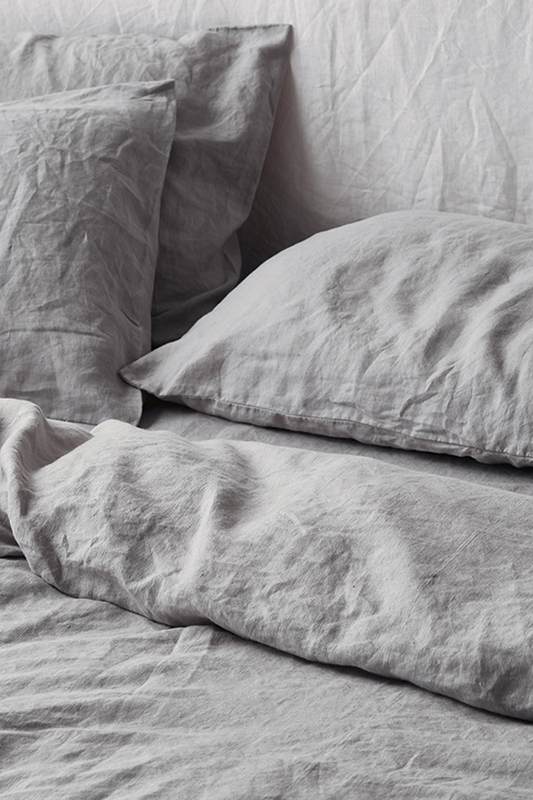 Nothing compares to the feeling of linen and I don't want to go back to any other kind of sheet. I highly recommend them to my friends, family and clients. Buy them you will not regret it! Better still, buy 2 sets! I DO love linen, and now I love 'I Love Linen'! 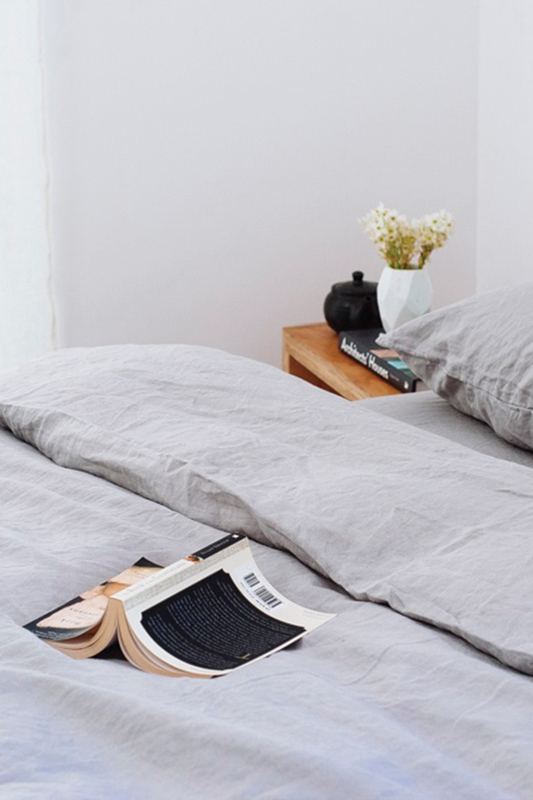 I bought grey sheets from 'I Love Linen' after a bad experience ordering from another online linen company. 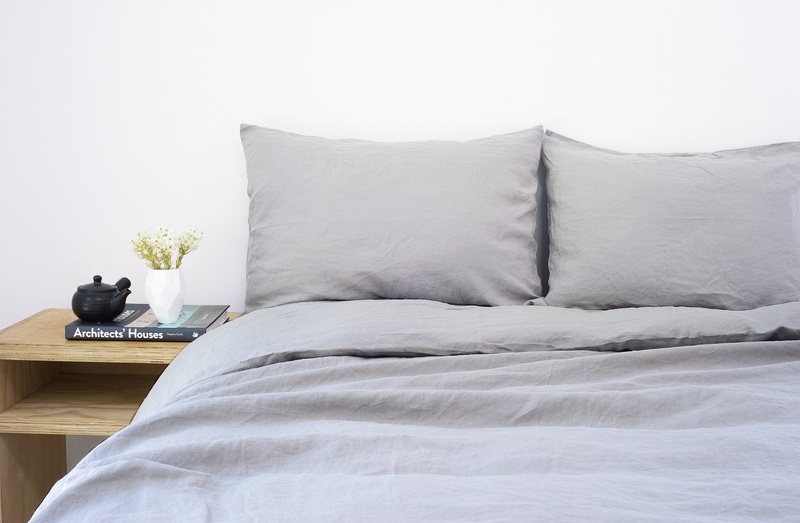 The 'I Love Linen' sheets are a beautiful soft grey, unlike the other company whose "dove grey" sheets turned out to be virtually the same colour as natural linen. My new sheets feel so soft and are a very generous fit, allowing for the natural shrinkage of linen. Dispatch was efficient and delivery was quick. In addition to all this, 'I Love Linen' products are very reasonably priced. Thanks to the I Love Linen team. I DO love linen, and now I love 'I Love Linen'! 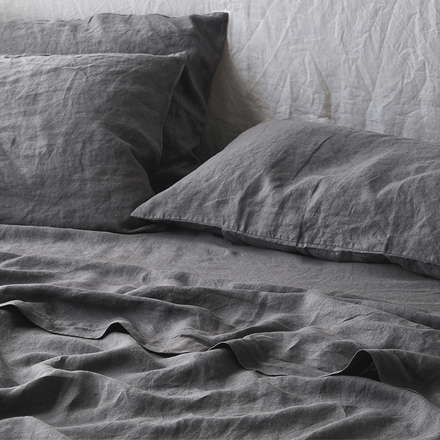 I bought grey sheets from 'I Love Linen' after a bad experience ordering from another online linen company. 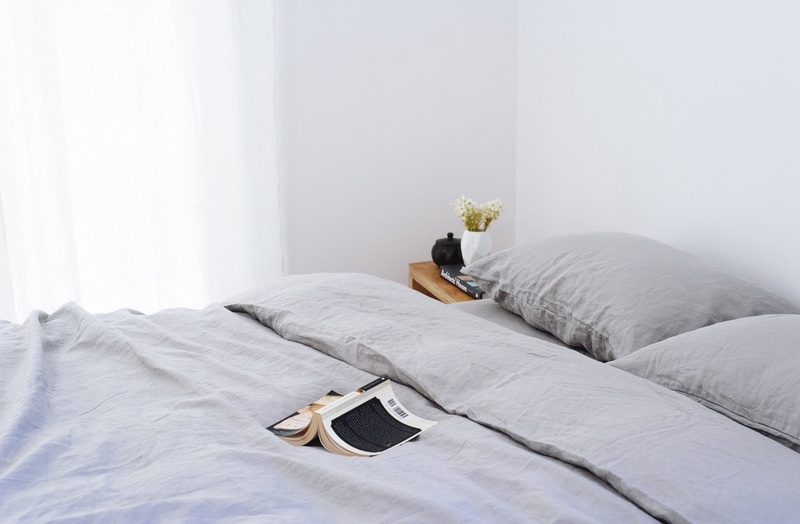 The 'I Love Linen' sheets are a beautiful soft grey, unlike the other company whose "dove grey" sheets turned out to be virtually the same colour as natural linen. My new sheets feel so soft and are a very generous fit, allowing for the natural shrinkage of linen. Dispatch was efficient and delivery was quick. Thanks to the I Love Linen team. Love these, soft but strong, lovely to sleep in - I'm getting more!! 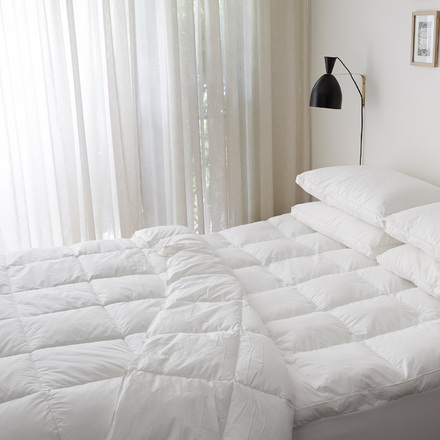 We love this sheet set for winter, its warm and luxurious. It washes well and is a great fit for deep sided mattresses. I will be buying more. My first set of linen sheets - and they are just lovely! Soft grey and soft to climb in to. Look and feel gorgeous. Light yet durable. Really pleased with the purchase. 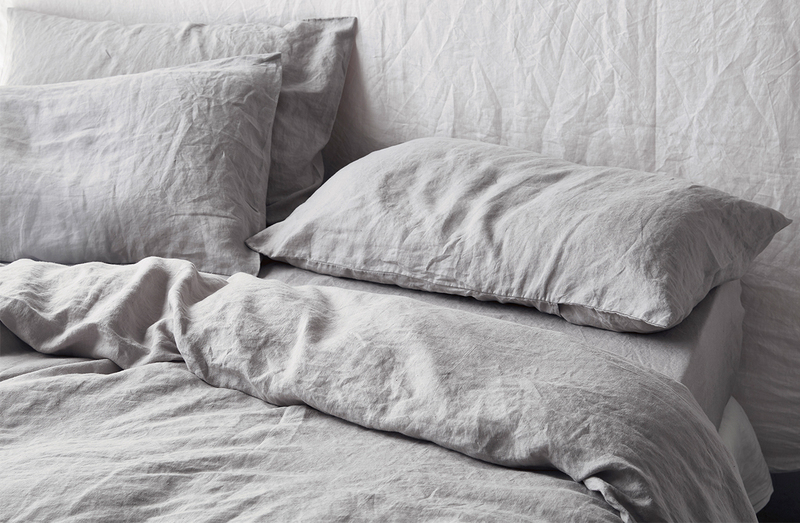 I bought the soft grey linen and it has been a dream. Super comfortable to sleep on and it looks so raw and modern. This colour really works with pops of a brighter pillow or throw. So happy. So soft. So luxurious. So lovely! This is my first linen purchase, something I resisted because of the texture being too coarse and stiff. Great size as well! This was my first time trying linen sheets, and I am definitely a fan. I really like the texture of it. The soft grey is a lovely colour as well. The fitted sheet has nice deep walls - it fits over my thick mattress with the hotel mattress topper with enough to tuck in under the bed. Absolutely gorgeous colour, great quality. Love that it is a little longer on all sides for that extra bit of coverage across the bed. Absolutely divine! After sitting on the fence for several months I took the plunge and ordered myself a set of sheets. The fitted sheet dimensions are generous and would easily cover a pillow top and there is plenty of overhang on the flat sheet for tucking in. 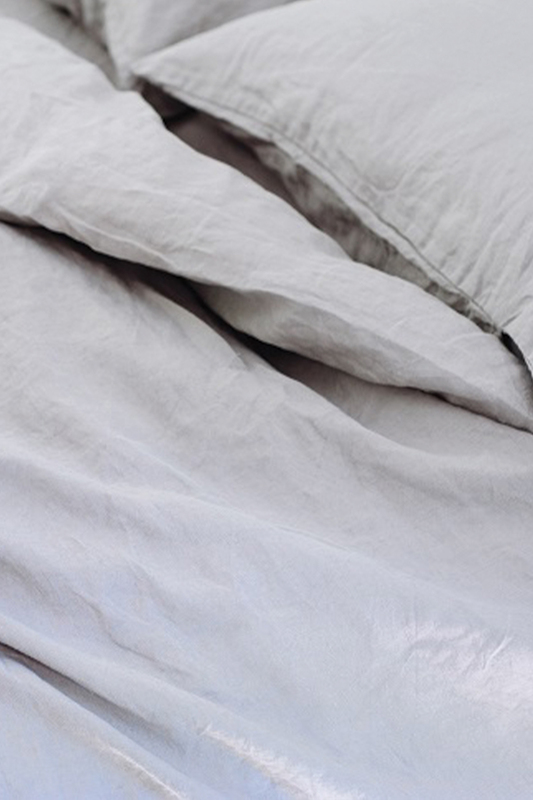 A wonderfully soft and rumpled fabric to sleep on! I Love Linen - Yes I Now Do! This is my first experience with pure linen bedding and after much research I decided on I Love Linen. So glad I did. I ordered a white king size pure linen quilt cover and the soft grey queen size sheet set. My order arrived within 5 days (I'm in South Aust - was expecting it to take longer). The quality of the linen is amazing and the colours go together so well. I now have this beautifully soft ambience to my bedroom (I can't help going into my room just to look). I Love Linen - thanks for the professional service and for such a top quality product. A big thanks for converting me to this linen. It feels so soft and looks really cool. Will be recommending you guys for sure. Great quality, great price. Really fast delivery too! Thank you so much for adding this colour to your collection! The linen is absolutely gorgeous and this colour is seriously amazing. Thank you! New to linen? Get into bed each night and you too will be hooked. And if you’re adding to your linen collection, we have one of the largest ranges of colours available. 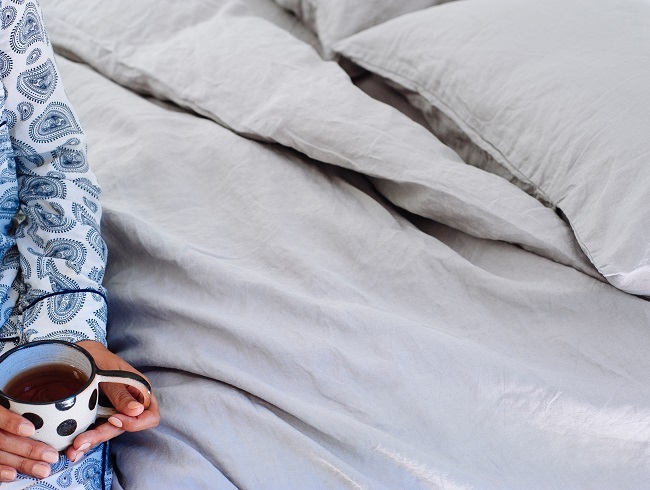 With years of expertise behind us as second-generation linen experts and sourcing only premium French Flax, you can have confidence that you’re buying the most luxurious linen available to you. Soft Grey always works beautifully in a room. Creating an atmosphere that is calm and welcoming. This quilt is such a classic colour that you can pair it back with just about any colour, here, to style your bed exactly how you want it. Please note due to the variation in photography and light, there are slight differences in the colour of linen. For colour accurate images, please use the photos at the top of the webpage or those just below. 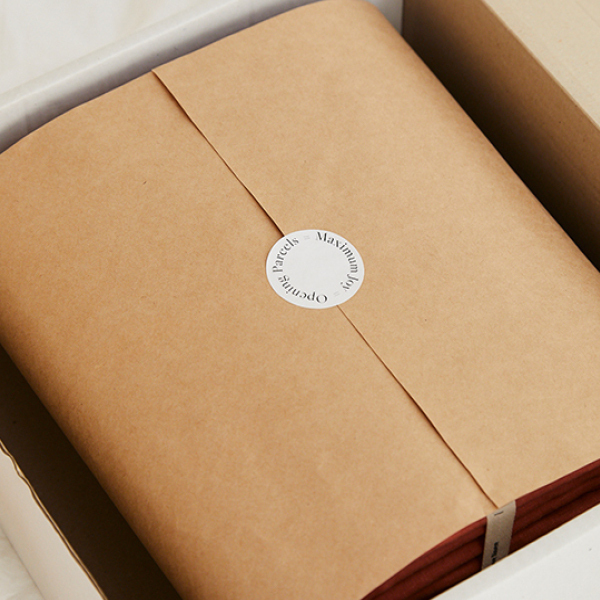 Alternatively, feel free to request a free style consultation and we'd be happy to send swatches out to you. To learn more about your linen please read all the details under our Designer Notes below.